Ah the trains, the comfortable fast Pendolino Virgin trains linking Manchester to London and then the good ol’ Northern pacers linking Manchester to Liverpool. A necessity for modern Britain to function: traveling to work, tourism life – we all rely on them at some point. As a regular commuter of over 10 years, traveling between Urmston and Manchester on the Liverpool line has become extremely frustrating, exhausting and costly. I often arrive at the station and discover that there is no train, so I wait for the next one, which inevitably is too busy to get on. Most of the time this results in me having to pay for a taxi to get to my destination. We don’t ask for much as the customer, do we? We pay hefty prices for a service that may or may not turn up. By April 2018, I was so frustrated with the situation I decided to do something about it. The concept of the Northern Fail app was born. The initial purpose of the app was to automatically inform me of any last-minute cancellations. 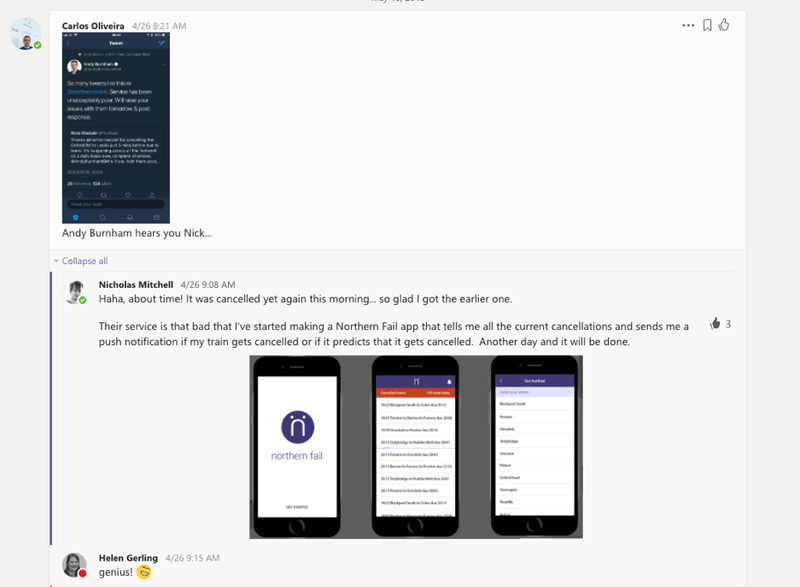 Using a platform called SPINR to help aggregate Northern rails announced cancellations, I built an app using open APIs which would display updates daily via a push notification. With no historical navigation of the cancellations you would simply select a station and be notified of any cancellations. 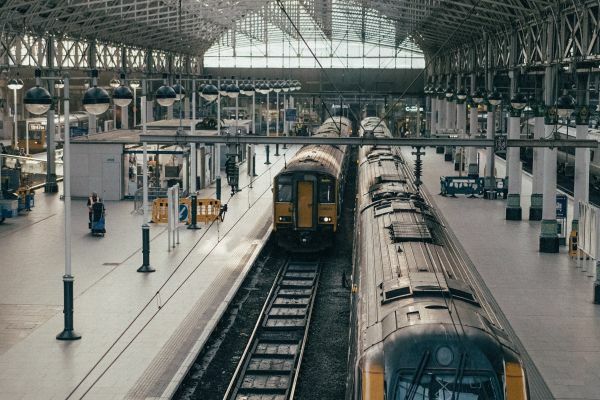 And I was going to leave the app at doing just that – notifying me of cancellations – and I would carry on complaining about the trains to everyone in the office. That was until Carlos Oliveira (my boss), shared a tweet by Andy Burnham (Mayor of Greater Manchester) with me and it reignited my fire. After posting the initial idea in our Microsoft Teams chat I started receiving encouragement from my network and colleagues. So, I decided to develop the app further and make it more useful for others too. 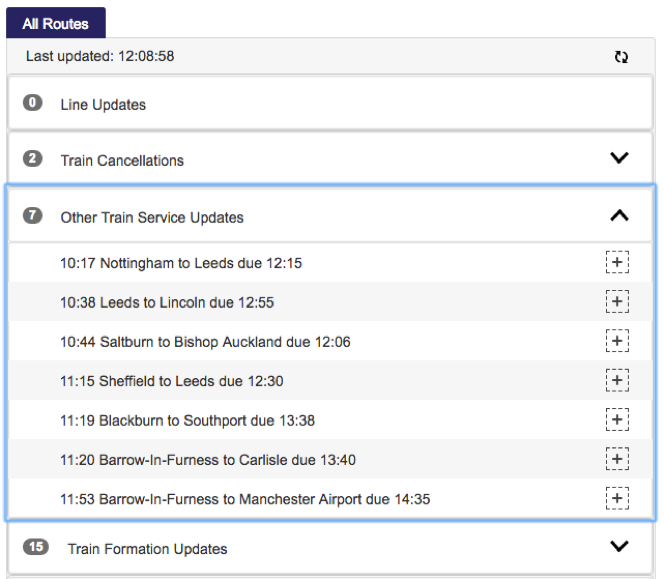 I had noticed that the statistics reported in the news weren’t including “part cancelled” services – and locating this information isn’t made easy on the Northern’s Journey Check website either – they list them under the misleading title “Other Train Service Updates”. Discovering this new category of updates and realising that the situation was probably worse than what was being reported, I invented the phrase “Part Cancelled” and included this data into the app, updating the design to accommodate it. The following day however, I was derailed again when I realised that the cancellation notifications still weren’t accurate because last minute cancellations weren’t showing. This is because the data from Northern’s live Journey Check website only shows advanced, announced cancellations. It was at this point I decided to change track and alter the purpose of the Northern Fail app. 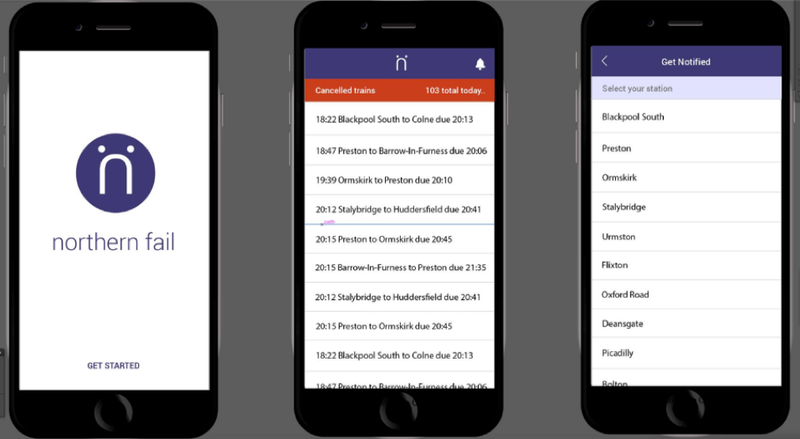 The app became a log book for all Northern’s announced cancellations and reduced carriages with added functionality to allow users to select their station and date. These two options aggregated the data to show daily statistics and this was powerful information. It helped people to complain more easily. A few days later and the Northern Fail app you can download today was born. The data unlocked by the Northern Fail app does get put in the public domain but only in real-time and therefore soon disappears from view. The app gives historic access to that real-time data and commuters, politicians and journalists have been using the data as a reference point to voice arguments. See below for a selection of tweets. Last 14 days on Northern Rail. Full cancellations: 1159. Part-cancellations: 1048. Short trains: 529. Public statements from Ministers: 0. One of our Resisters got a t-shirt designed! The app has been downloaded over 15,000 times, featured or referenced in over 40 written news articles including the Huffington Post, The Guardian, BBC and ITV. I’ve also appeared on BBC Radio, One Show, and Breakfast show alongside Andy Burnham, Channel 4, Granada and Sky news. Without the app, news reports on the scale of the situation would be based on incomplete data. Today, the case for change can be made even stronger by making the data more accessible. And that’s what the Northern Fail app is enabling. In my next blog I’ll talk about how the app was made using the SPINR platform and taking an API-first approach. Do you have any questions you’d like me to cover about the making of Northern Fail? Write them in the comments below! Nick is a UI & UX Engineer for SPINR, he has a passion for React that few others can match and he is obsessive about crafting slick and intuitive user interfaces across web and mobile.